Good Lord.., I forgot who posted this pic originally, but here it is again on my blog. It is 1984, and a few selected junior Disney animators were invited to join Marc and Alice Davis at the Olympic Arts Festival (which was then organized by Peter Schneider). We showed an absolutely beautiful 70mm film print of Sleeping Beauty, I have not seen this movie in a better version since. It was a thrill to watch the film with Marc Davis and ask him questions about it. Actually this was the beginning of my friendship with Alice and Marc. I do not want any comments about our not so hot pants. 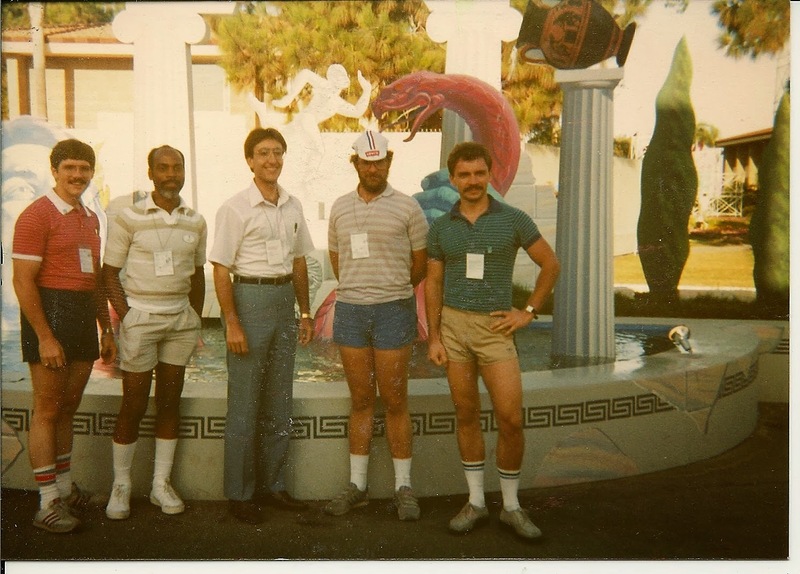 Mark Henn, Ron Husband, Ruben Procopio, Joe Lanzisero, and me.